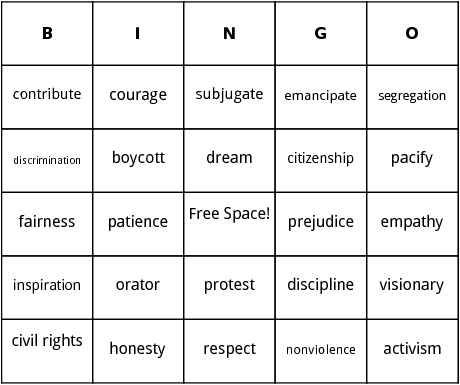 These Martin Luther King Jr bingo cards include words like "respect", "orator" and "segregation". All cards are randomized and a printable file is generated when created. You can also add unlimited number of additional terms to the word list.